Wendy Wheeler was born and raised in the Mayfield area. Wendy’s love for horses started at a young age around all the Tennessee Walking Horses her father raised. Currently Wendy works at Falconite Development Group and brings over 25 years of experience and wisdom to all her real estate transactions. Her love for interior design, lead Wendy to Falconite Development as their residential project manager. She later added a real estate license to her resume. 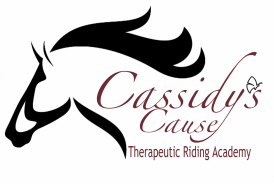 Wendy is very active at Cassidy’s Cause and enjoys walking with her favorite rider; Asialyn. She loves spending time with her son, Dain, daughter-in-law, Emily, and grandson, Aidan. Angie Jackson is a Paducah native, and a graduate of Paducah Community College with a Associates degree in Office Management. Working for 20+ years she has ran and operated numerous businesses. She served on the board of directors for Child Watch Counseling and Advocacy Center for 3 years and currently serves on the board of directors for the Community Foundation of West Kentucky. Her love of horses and people lead her down a path to help change the lives of individuals with special needs. In 2013, along with Mike Falconite and Dara Triplett, she helped start one of Western Kentucky’s largest equine-based riding programs. Angie belongs to St. Thomas More Catholic Church and enjoys traveling, spending time with friends and family, and riding horses. Shaun Crane was born and raised in Paducah and graduated from Paducah Tilghman High School. She also attended Paducah Community College. She has been happily married to Stanley Crane for 33 years. They have two wonderful sons and three grandsons. She has worked in the medical field for 11 years and at USEC for 26 years. She is currently employed by Flour at the Paducah Gaseous Diffusion Plant. Shaun has served on the board of directors for Child Watch Counseling and Advocacy Center as secretary and vice president for 5 years, a CASA volunteer for 10 years and President for Kare for Kids for 12 years. She enjoys spending time with her grandkids, golf, photography and cooking.